Reference: An excerpt from a blog post by Carolyn Resnick, Carolyn Resnick Horsemanship: Liberty Horse Training. At Liberty when the horses are together in their home site, allow one horse to eat a potion of free choice grain and keep the other horse away while he is eating. Then when he is finished let the other horse eat and keep the first horse away. 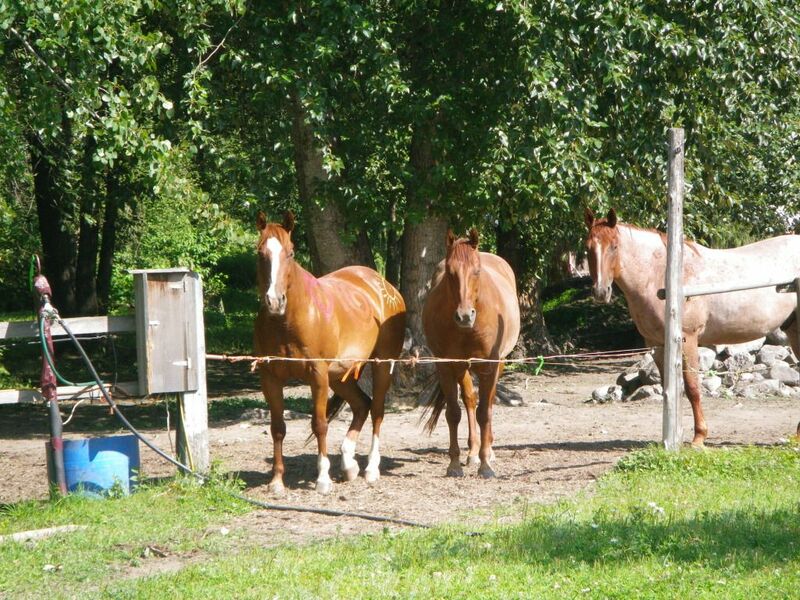 When the horses have learned to wait for their turn to eat, then feed one horse outside the area next to the fence. Bit by bit your horses will be able to separate for longer periods of time because of the bond that you created through the leadership exhibited over the food that you bring to both horses. Always start with Sharing Territory to put yourself in an altered state of being and a heighten state of awareness. This way your approach will be more appropriate in getting the results you want to receive. Take your time and believe you can do it and the magic of life will be there to support you all the way. You will also find a self guidance that you can trust in from the results of Sharing Territory. When you feel that your horses are not concerned about separation, you can then proceed to take short rides returning back to the buddy often. The horse that is left behind is fine because he gets special treats. The horse you are riding is fine because he has a deeper bond with you and a routine that he knows will return him back home.